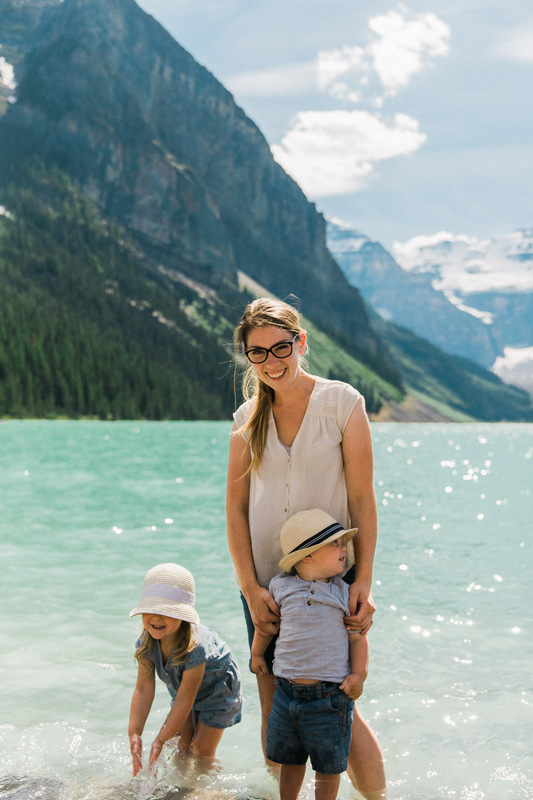 I've found myself at Lake Louise a few times already this summer, and it's always such a breathtaking, if busy, place to be. During warm months there seemS to be throngs of people to weave your way around, but it's definitely worth going just to see the colour of this lake surrounded by the mountains. This day that we went was particularly hot, people were arriving in their bathing suits and I was like, "People swim in this glacial water?!" A few brave souls actually did, we settled for dipping our feet in (mine went numb within five minutes but the kids would not get out haha). We've found that the best times to go are quite late in the evening, since most people visiting don't realize that the sun is out until 10 p.m. and a lot of people pack it in by 7 p.m. If you really want to avoid crowds, go on any of the beautiful hikes in the area and you'll find yourself a lot more piece and quiet. We were there in the early evening and decided to fit a hike in before the shoot I was there for, so we set out to check out the Fairview Lookout Hike. 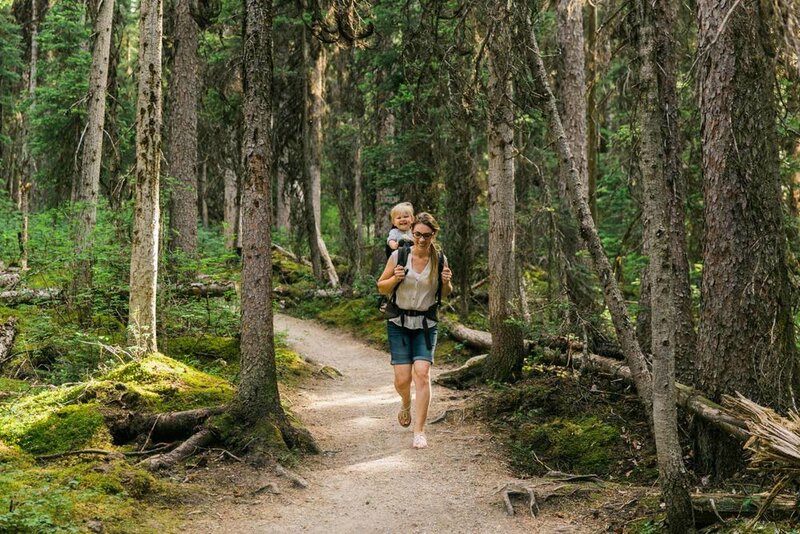 The trailhead for this hike is found between the canoe rental hut on the lake and the parking lot, which puts it on the left side of the lake when facing Lake Louise from the Fairmont. It's a short but somewhat challenging hike, as you gain elevation quite quickly (a total of 122 meters), but it's only 3.6 km round trip. The Fairview Lookout itself is 1,830 meters up the side of Fairview Mountain. As always, when hiking, bring water. 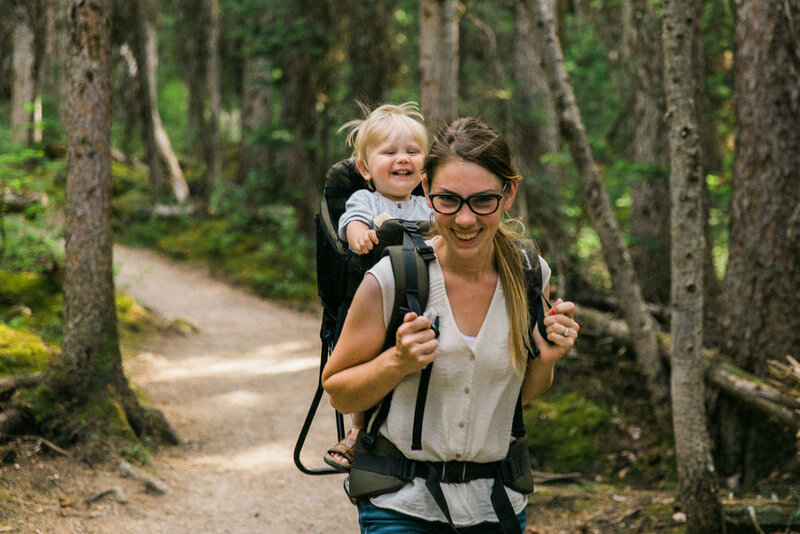 The trail is in beautiful forest (bring bug spray!) until you get to the end. 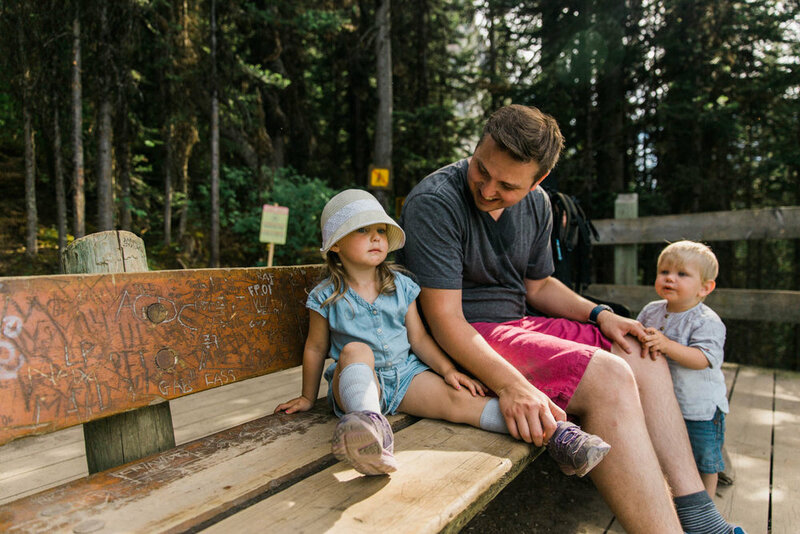 As you head up the trail you'll find yourself at a junction for Saddleback Pass or Fairview Lookout. You'll want to head up the right-hand trail, continuing uphill until it levels out for a bit. Soon you will start descending, and after a bit you'll find yourself at the viewing platform. The view from the platform is incredible. 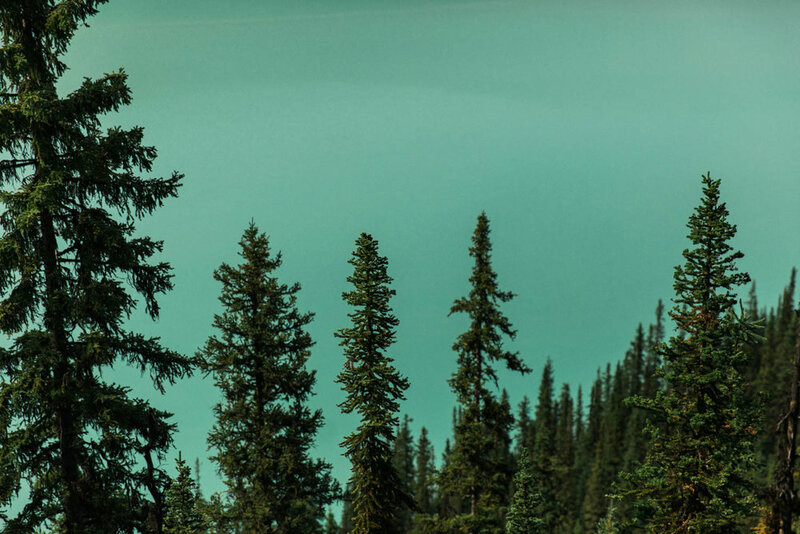 There is a great view of Lake Louise, the Chateau and all the mountains behind it, however the trees are growing in and making the view smaller every year, so I suggest you go sooner than later. I must say that I never really comprehended the colour of Lake Louise until I saw it from way up here. 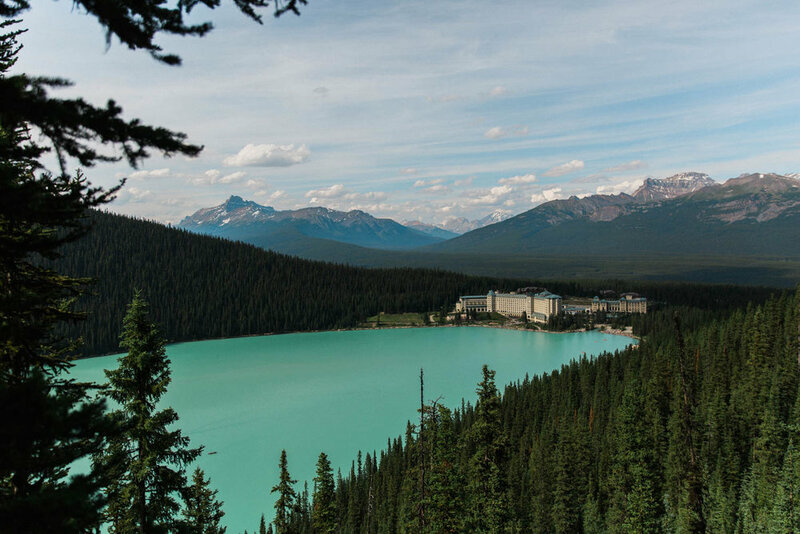 WHAT GIVES LAKE LOUISE IT'S COLOUR? 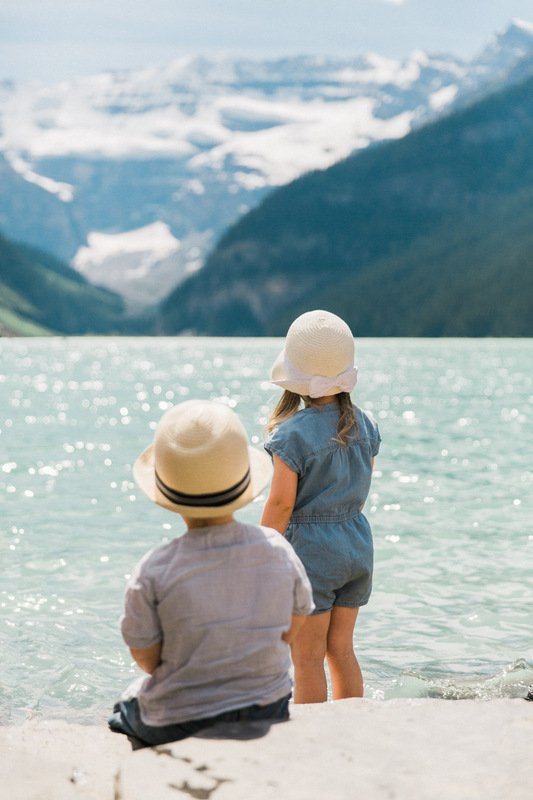 The colour of the water is a result of the rock flour that is carried by glacier melt-water into Lake Louise. Rock flour is composed of very fine-grain, silt-size rock particles, which are produced by glaciers grinding bedrock and eroding it. All of this sediment is quite fine and small and becomes suspended in the water of the lake, and the smallest and finest particles reflect back blue/green light, making the lake appear turquoise. Another cool fact about Lake Louise is that the water from here flows down and out to the Bow River, eventually finding itself in Hudson's Bay, making quite the journey across Canada. After taking a hard-earned break, it's time to head back down the mountain. We went back the way we came, which meant gaining a bit of elevation back up from the platform until it was all downhill. The kids really enjoyed running down the mountain in little spurts, they were laughing like crazy! *Family picture taken by putting my camera on the stroller seat and running after I set the self-timer. Always a hilarious thing for spectators to watch.